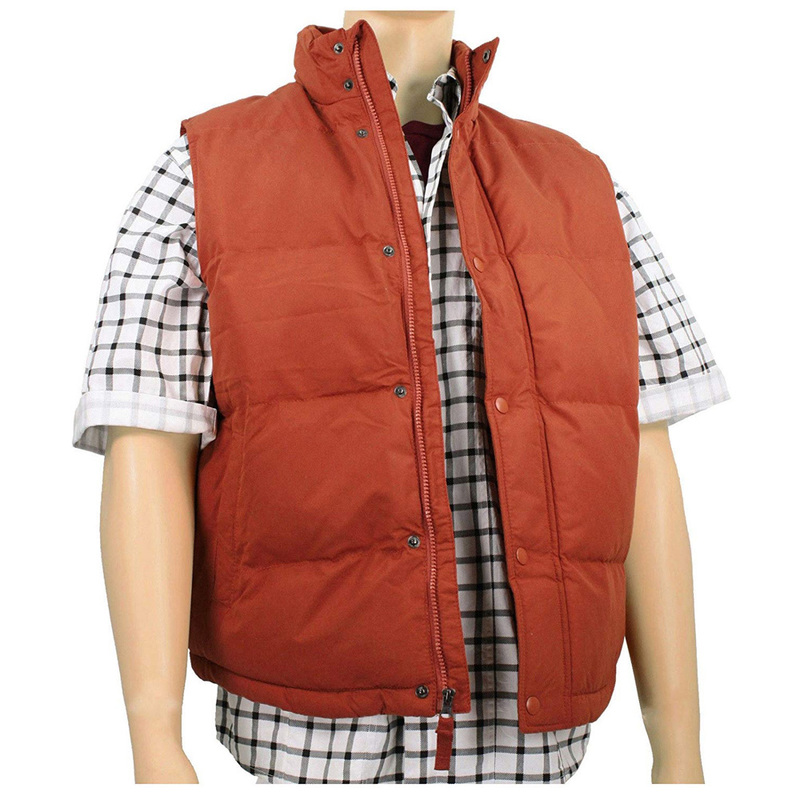 A Marty McFly costume is a favorite among fans of the 80’s and fans of the Back to the Future movies. 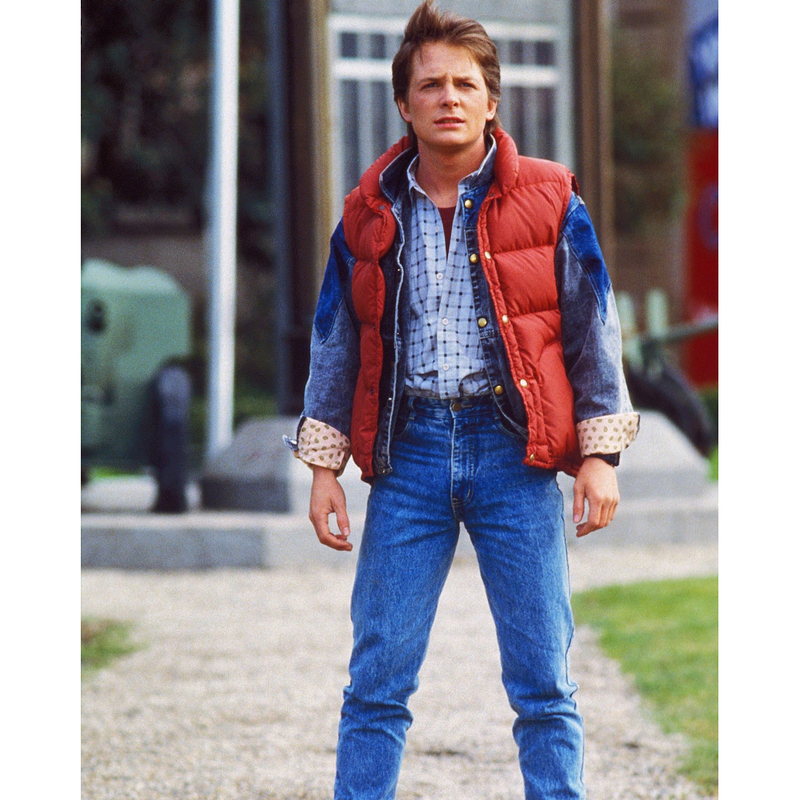 You have two options for an instantly recognisable Marty McFly costume. 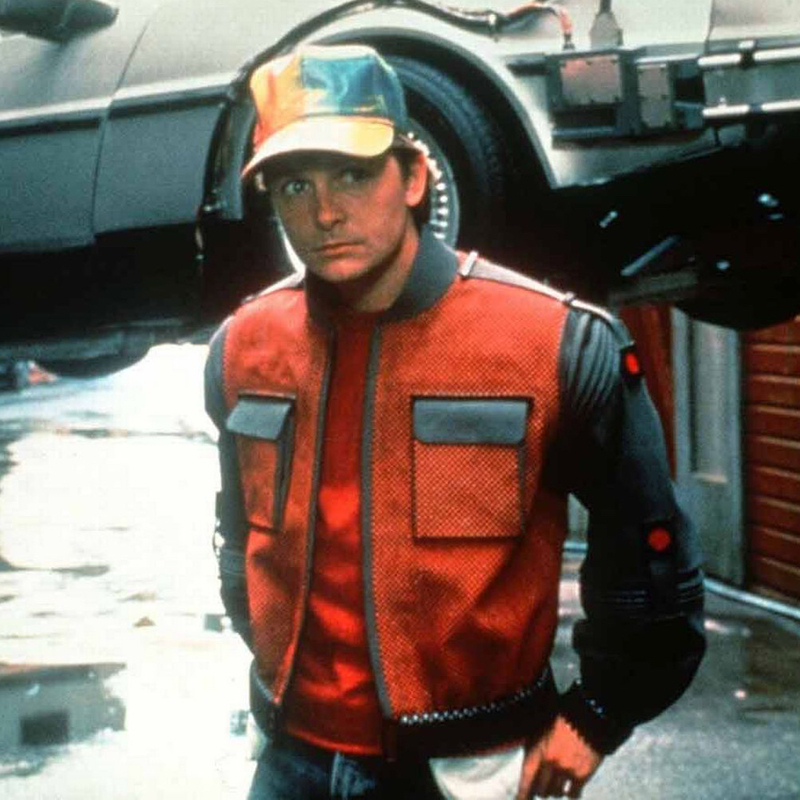 You can choose to Marty McFly from the original Back to the Future movie or you could may choose Marty McFly from Back to the Future 2. 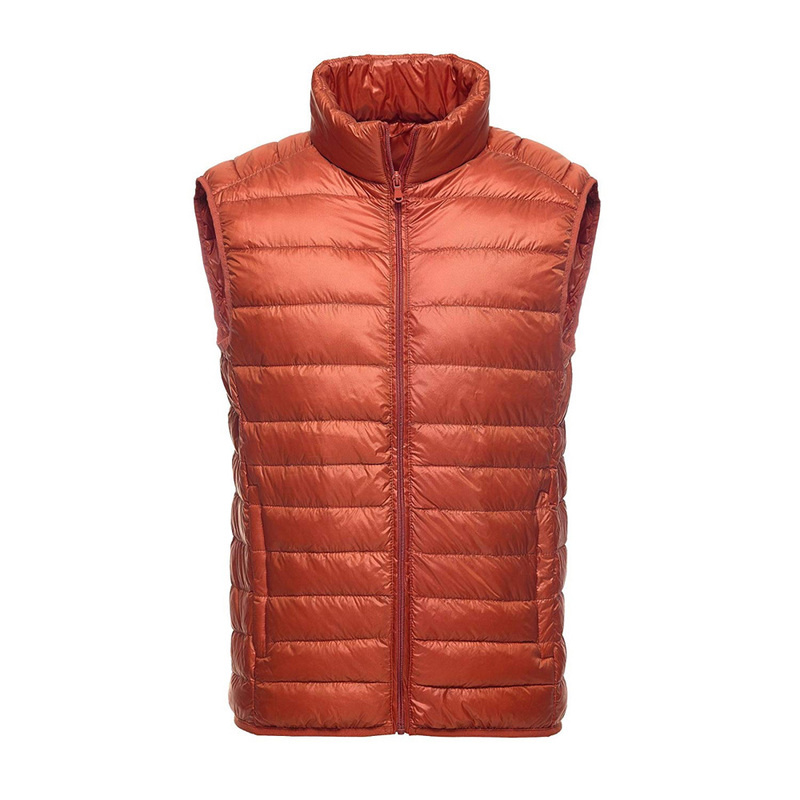 If you choose the original Back to the Future movie for your Marty McFy costume then you will be wanting to look like Marty McFly wearing his red puffer jacket. 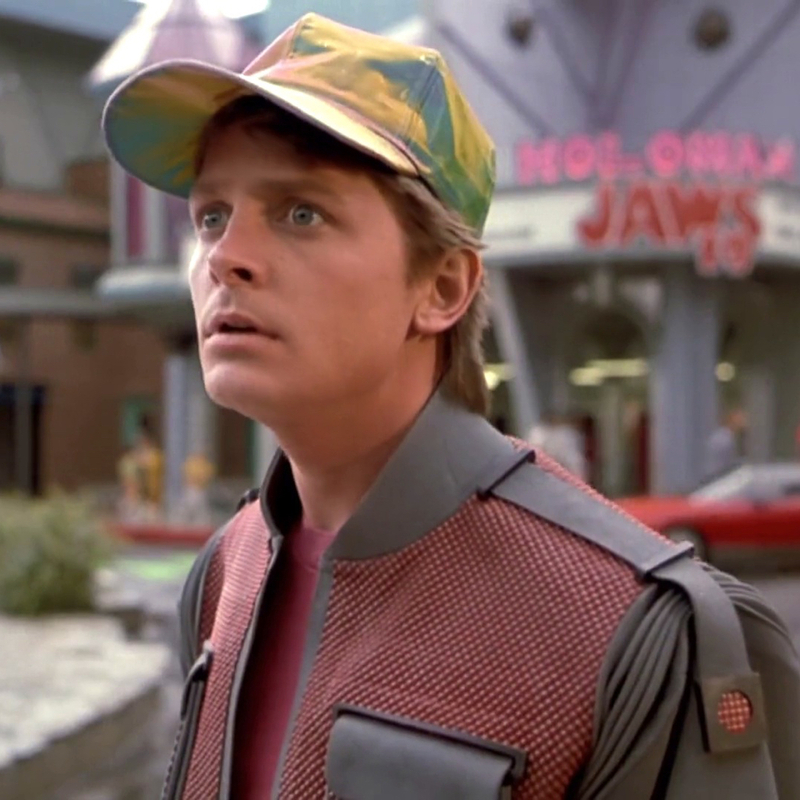 If you choose Back to the Future 2 then you will be wanting to dress as the character does when he travels to the future. 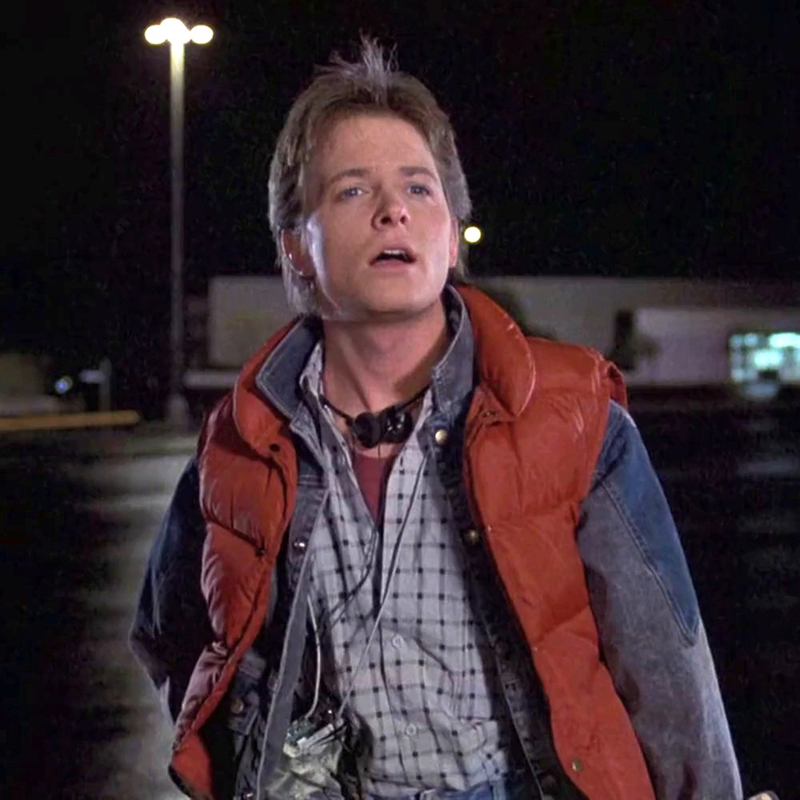 Here is a complete list of every thing you will need to make your own Marty McFly costume from Back to the Future and Back to the Future 2. 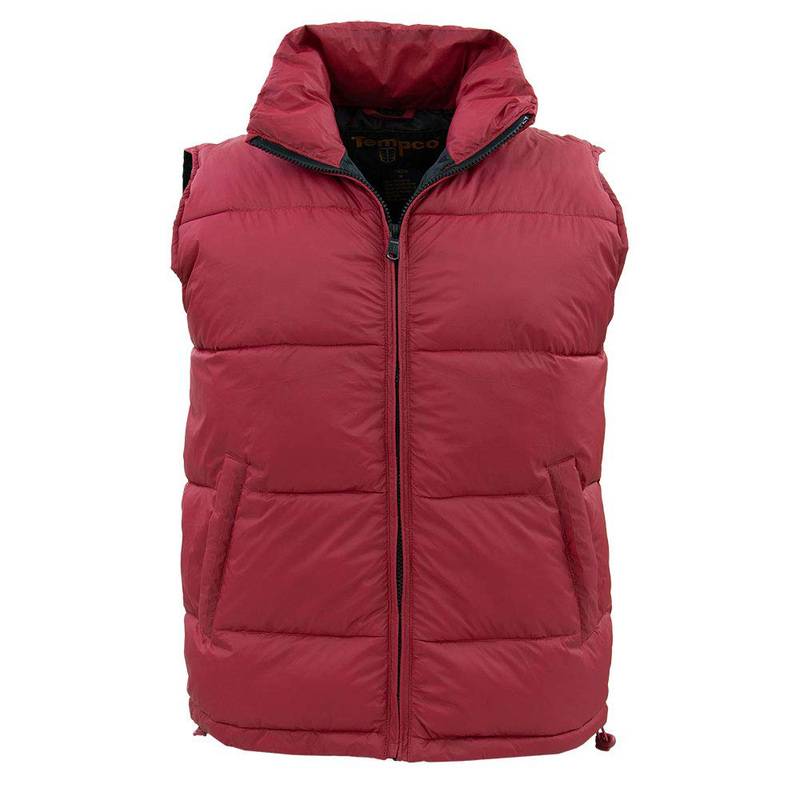 In the first Back to the Future movie one of the most noticeable items of clothing worn by Marty McFly is his Red Puffer Vest. 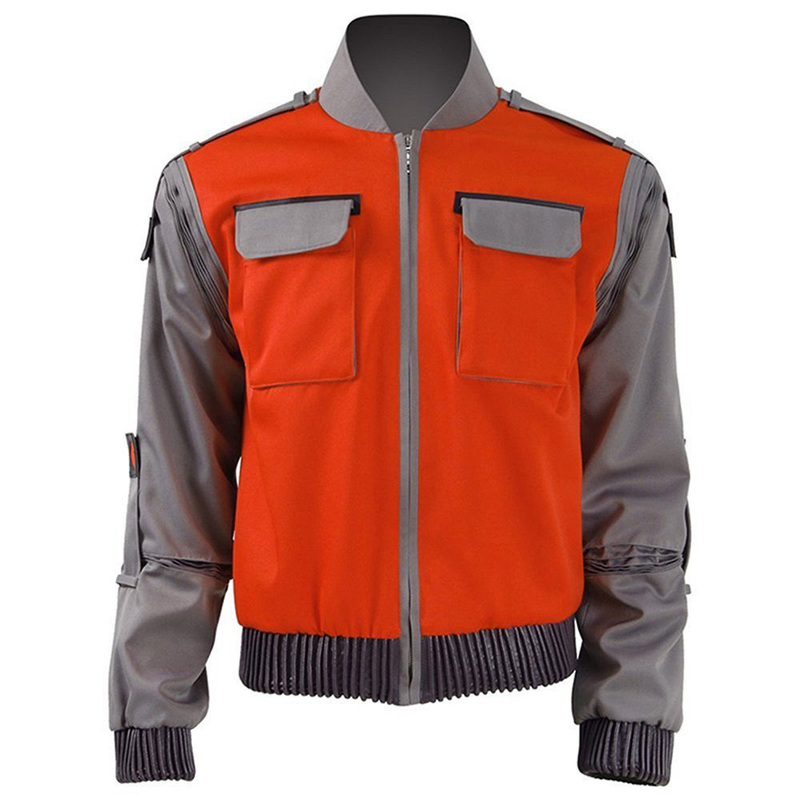 If you are basing your costume of the first movie this is essential to your Marty McFly costume. 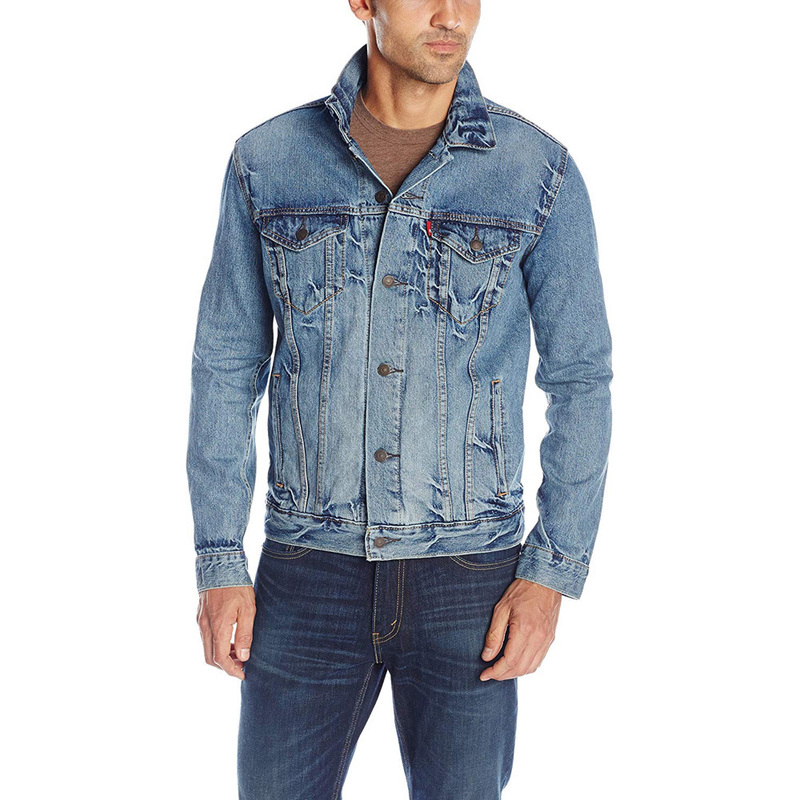 If you are basing your Marty McFly costume on the first Back to the Future movie you will need a denim jacket like the one he wears under his puffer jacket. 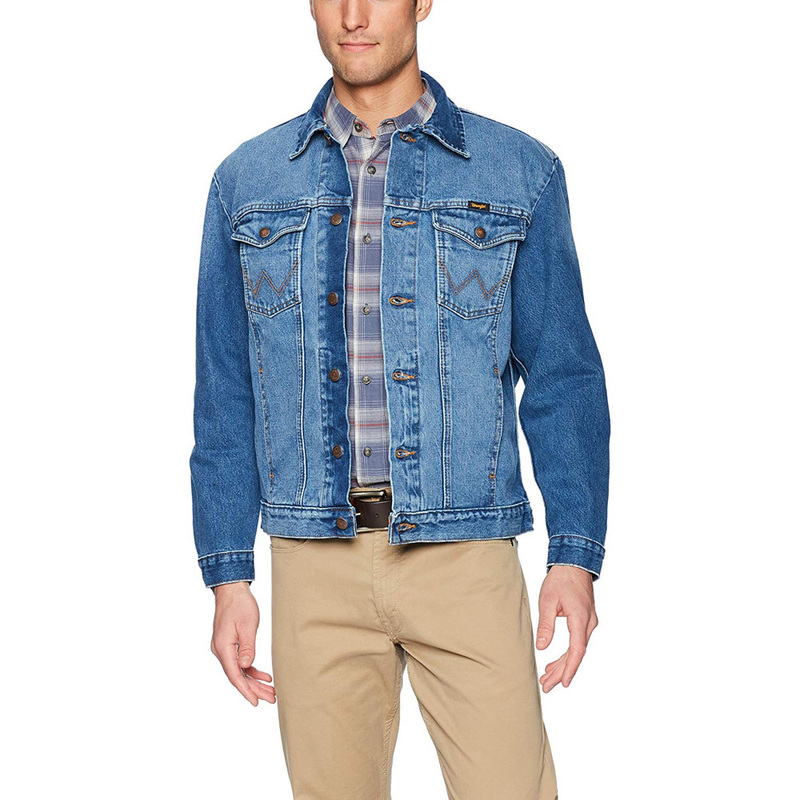 Ideally you need to be able to roll the sleeves up to replicate the style of Marty McFly. 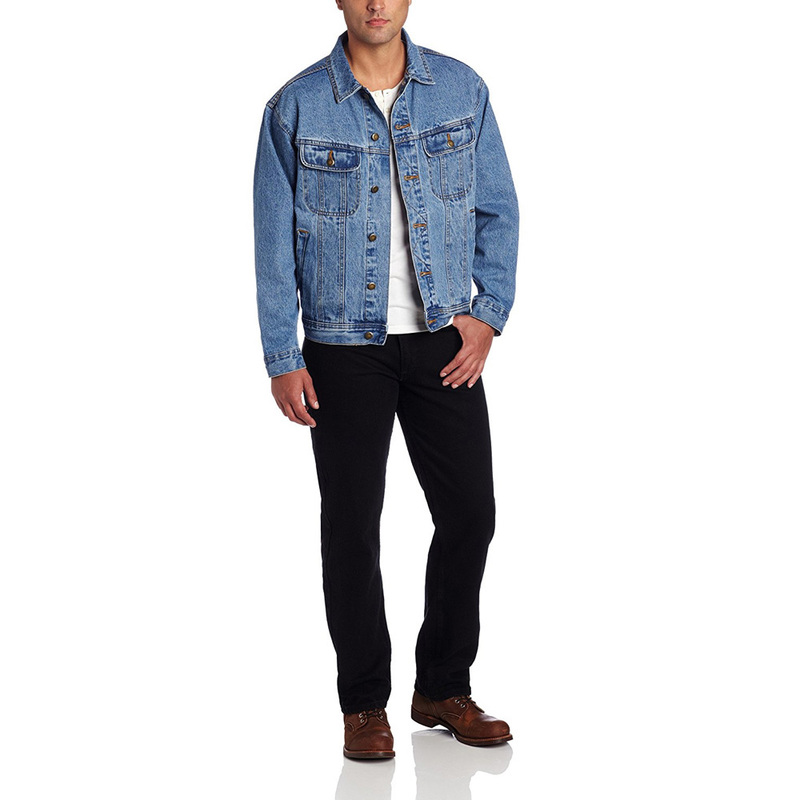 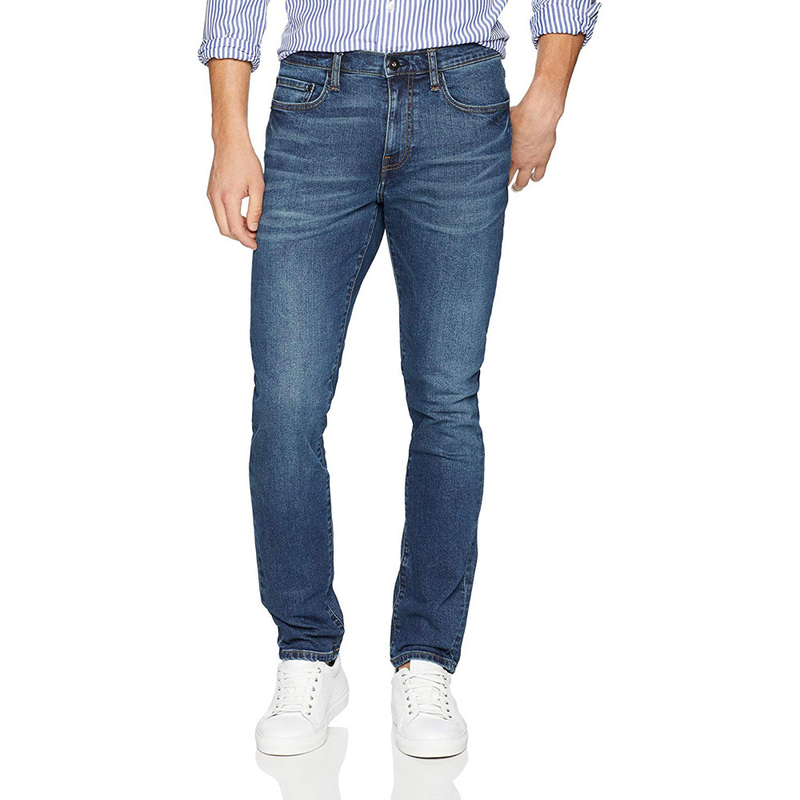 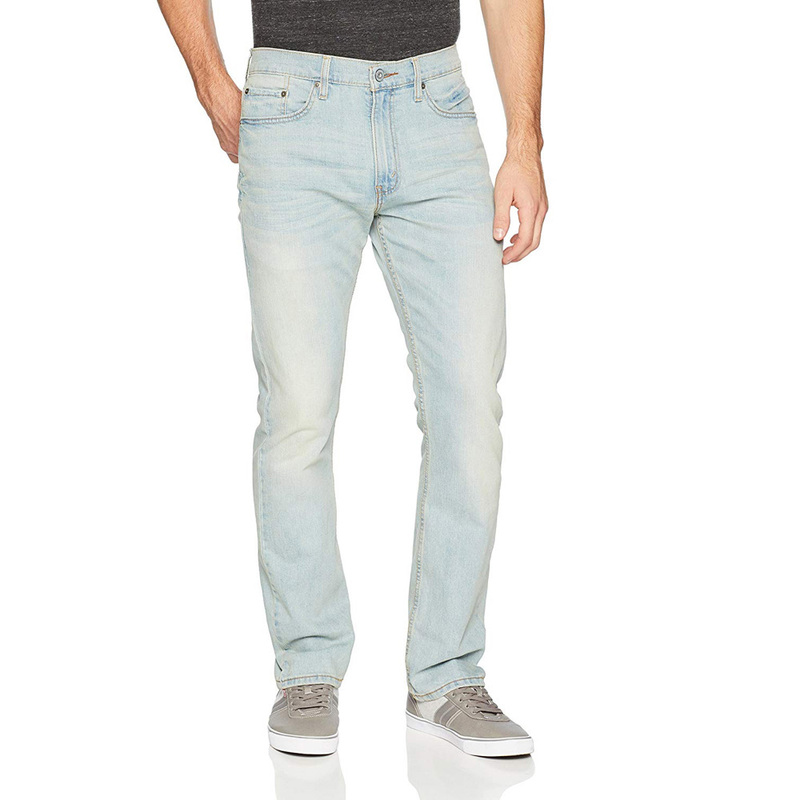 If your Marty McFly costume is based off Back to the Future 1 or 2 you will need a pair of denim jeans. 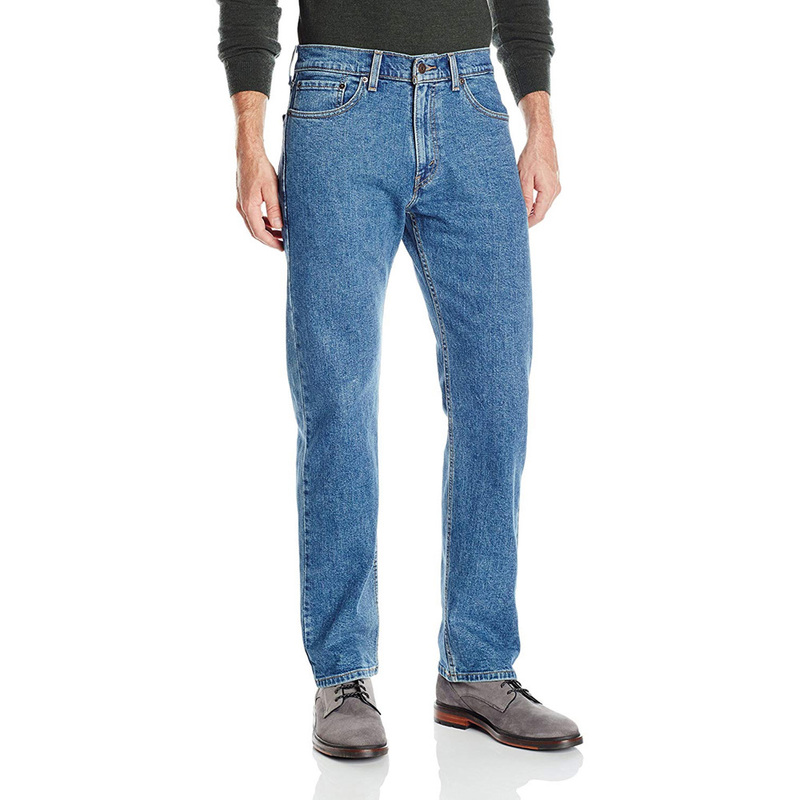 If you are basing you costume of the first movie wear your jeans normally. 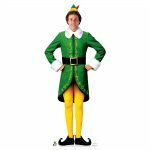 If you are basing the costume off the second movie simply turn your pockets inside out. 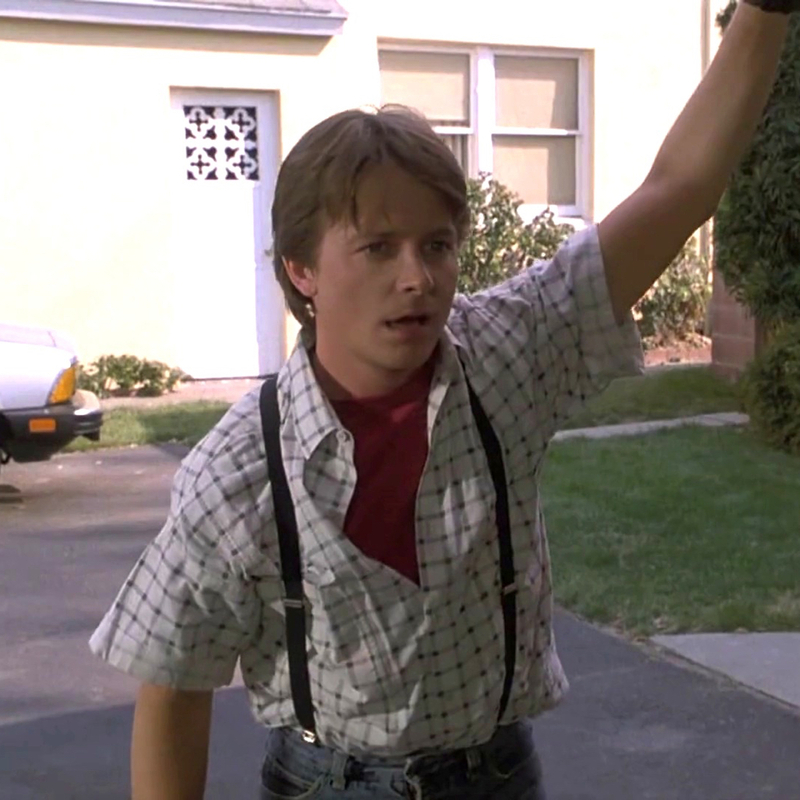 In the first Back to the Future movie Marty McFly where a shirt which has a chequered pattern. 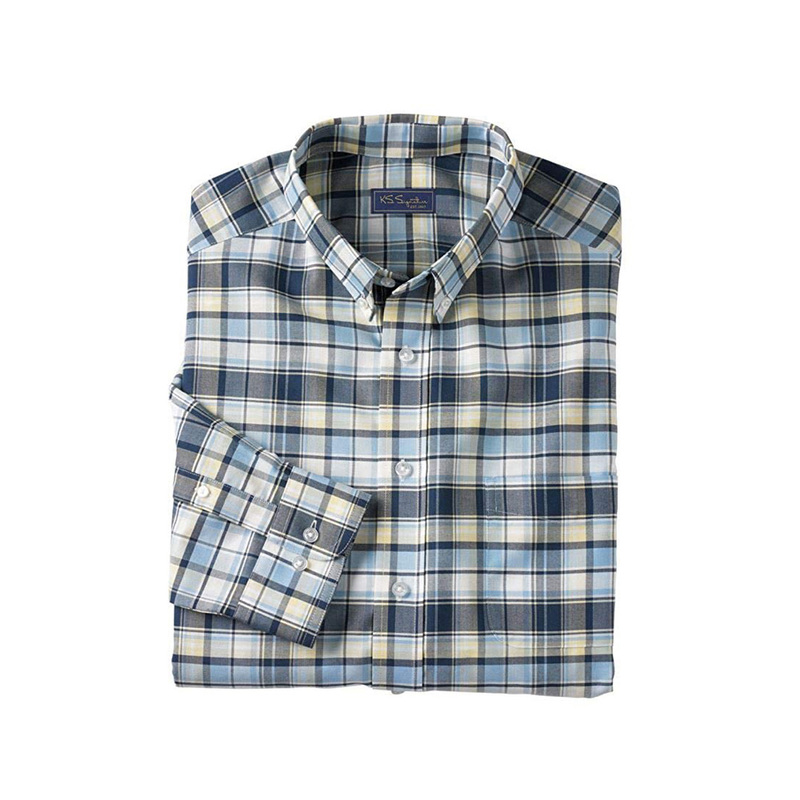 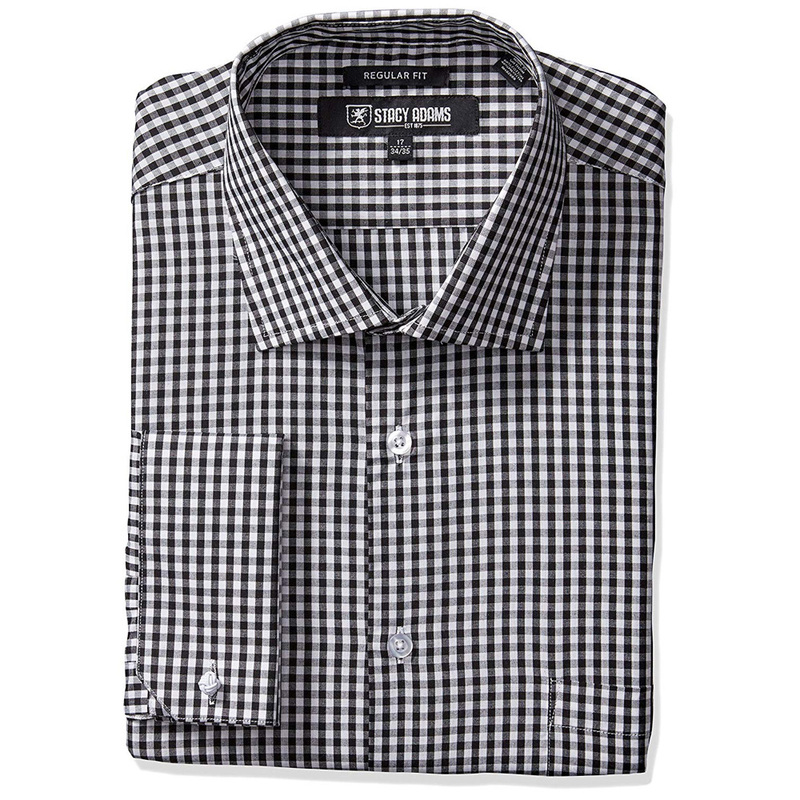 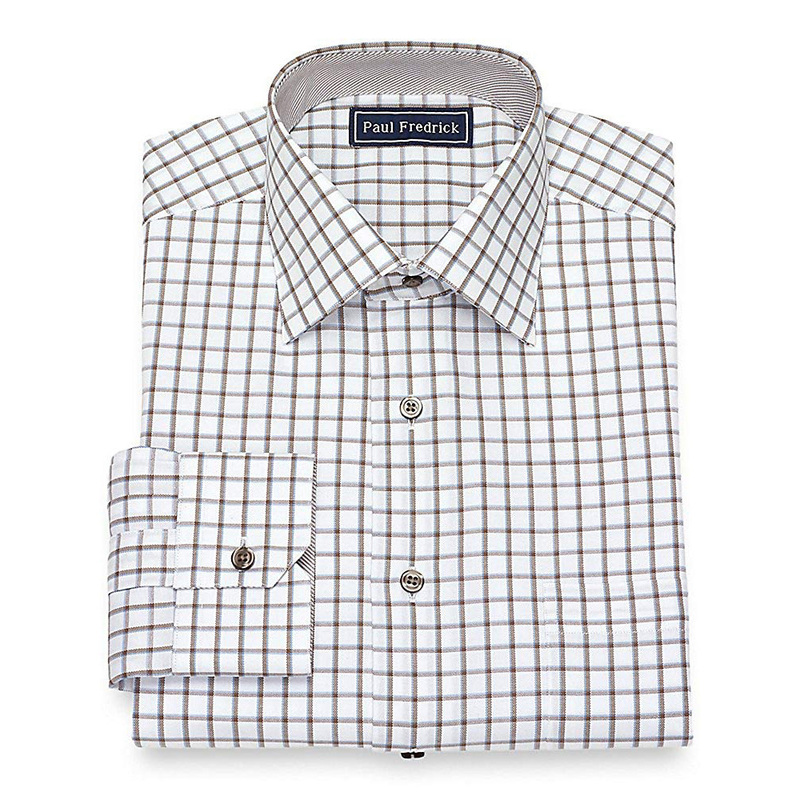 For your Marty McFly costume based on the first movie choose to wear a button down shirt with a chequered pattern. 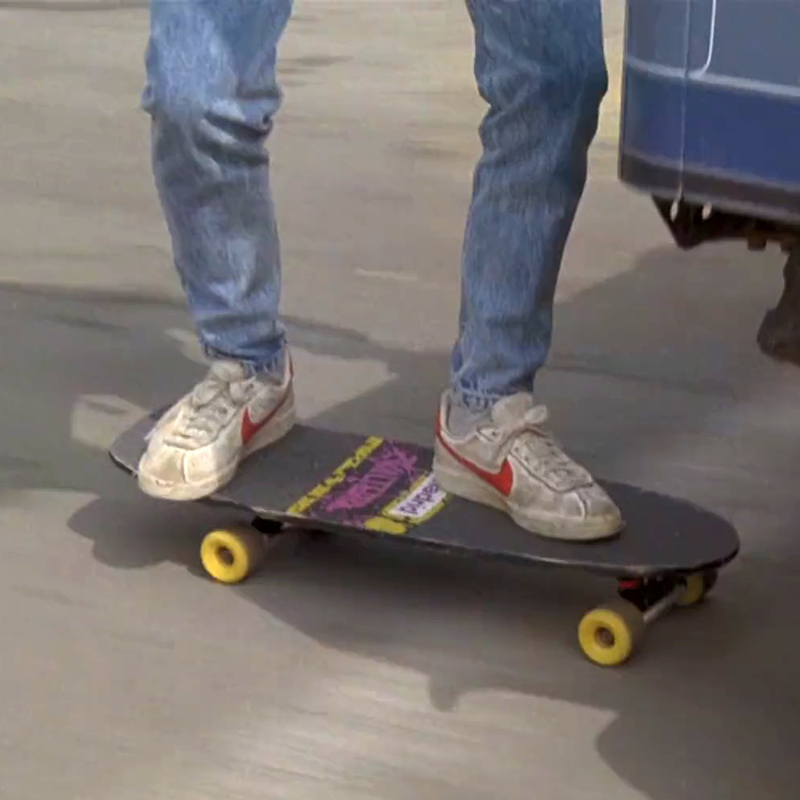 The sneakers that Marty McFly wears in Back to the Future are somewhat distinctive. 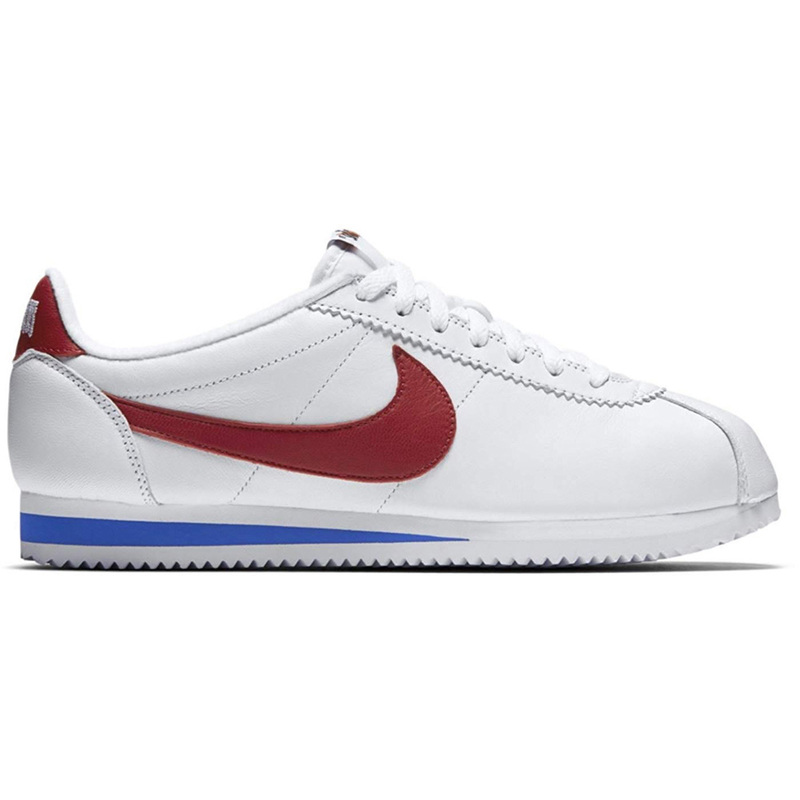 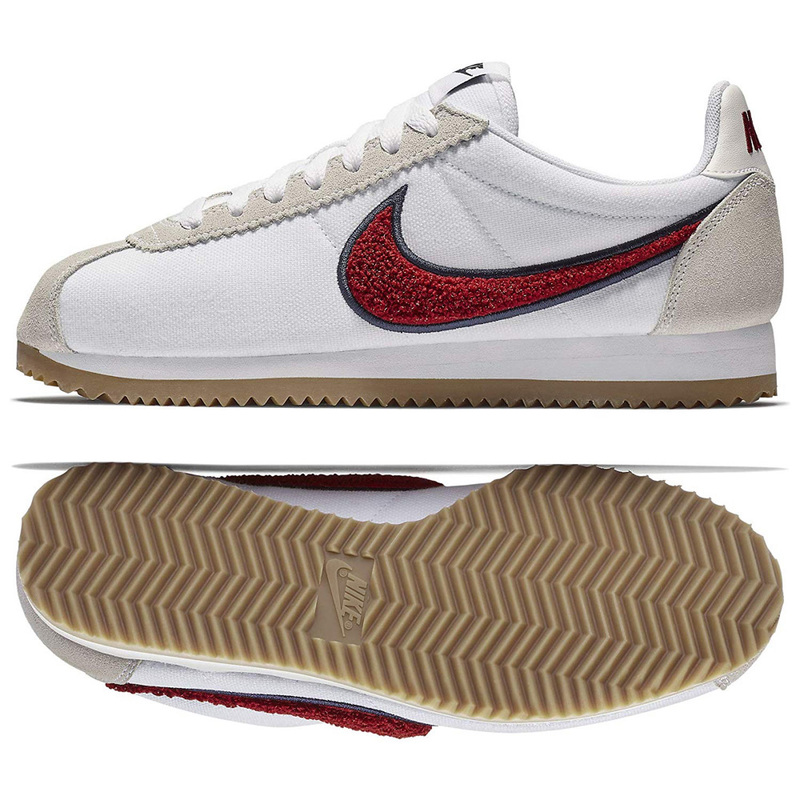 They are a pair of Nike Classic Cortez leather sneakers. 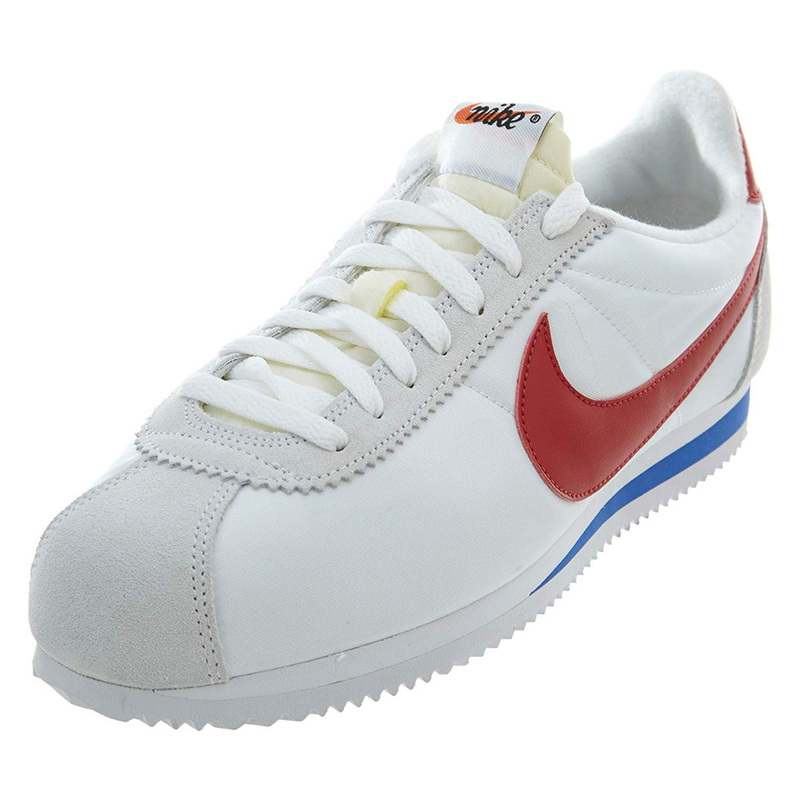 A pair of Nike Classic Cortez leather sneakers are ideal for this cosplay. 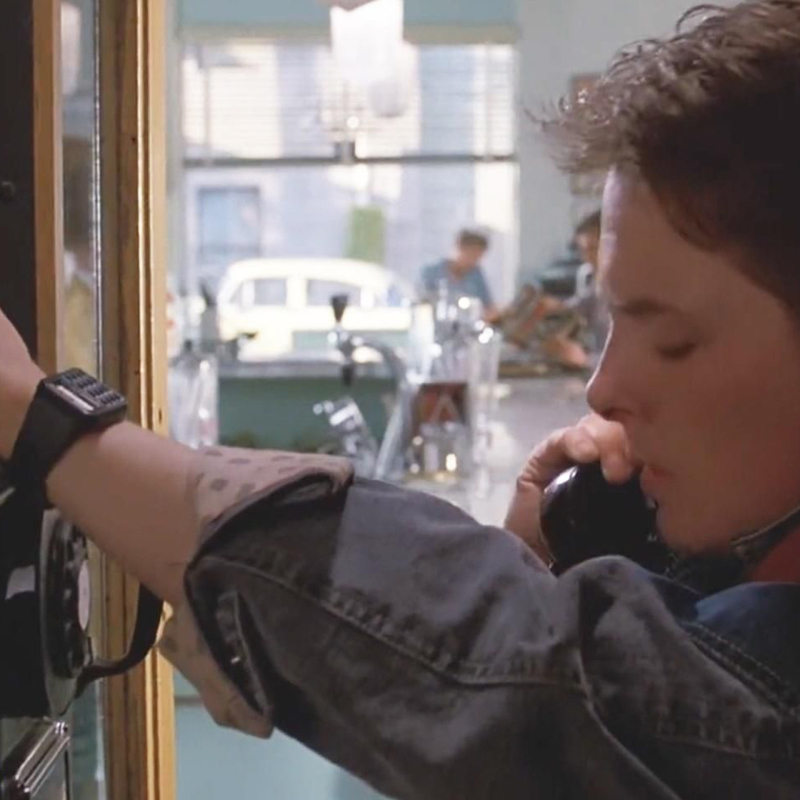 There are several scenes in Back to the Future where attention is drawn to the fact Marty McFly wears a calculator watch. 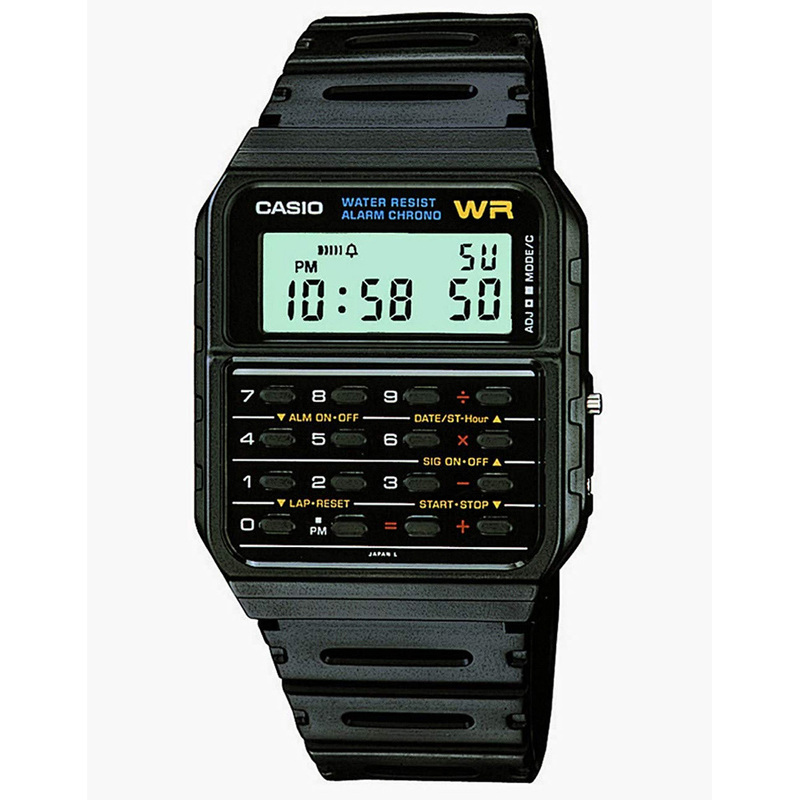 The actual watch he wears is a Casio calculator watch. 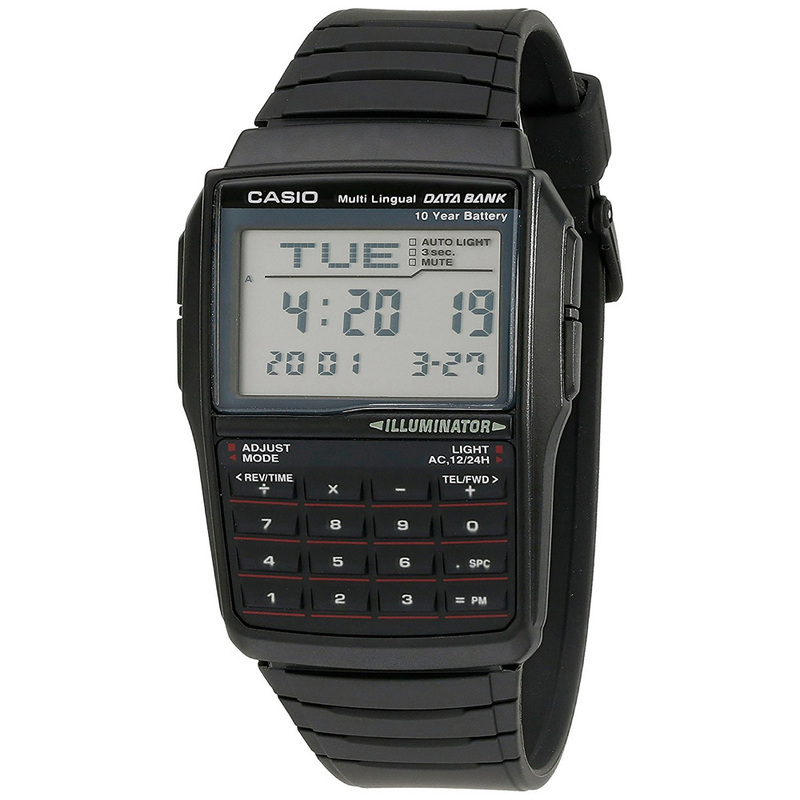 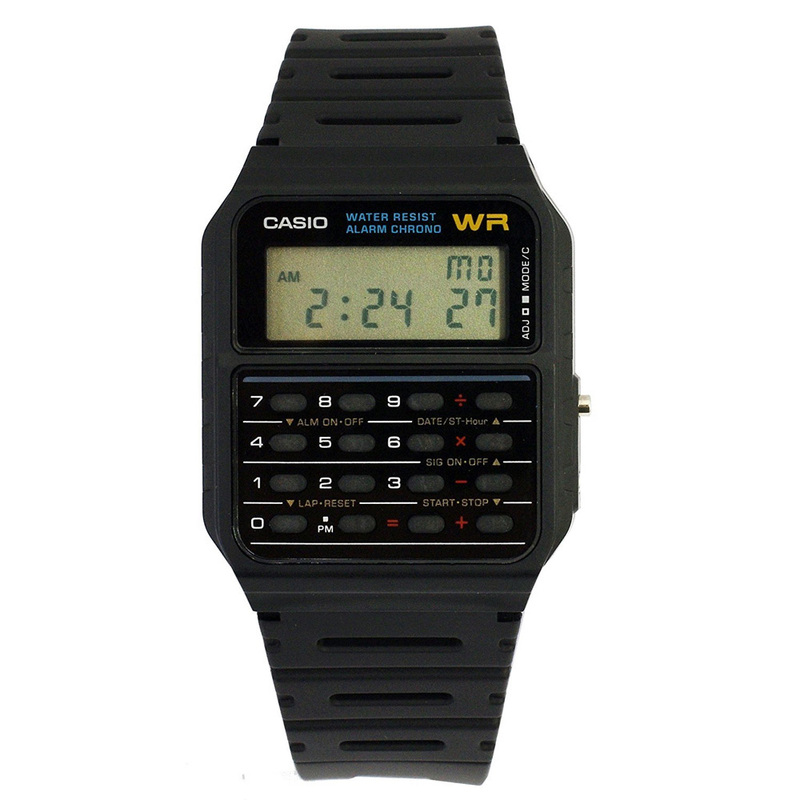 Using a Casio calculator watch is ideal for your Marty McFly costume. 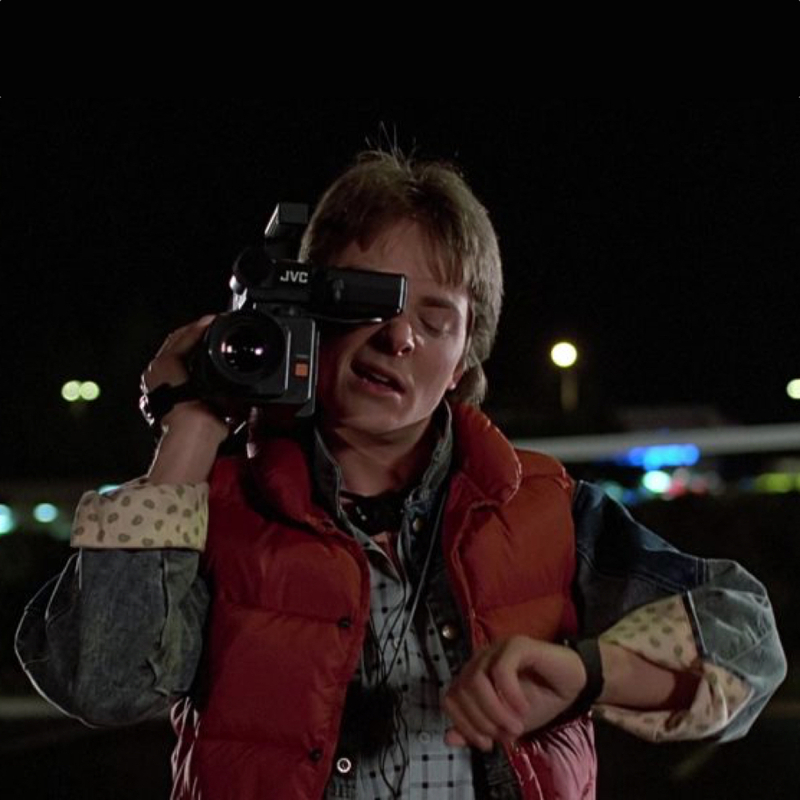 In the scenes where Marty McFly is seen without his denim jacket and puffer jacket it is clear that Marty McFly does not wear a belt. 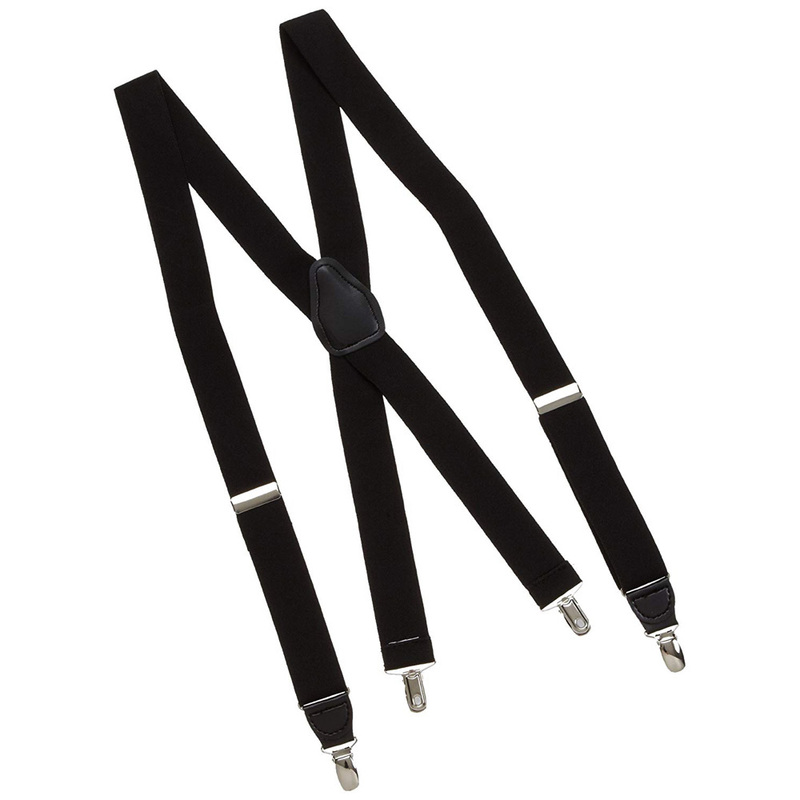 Instead he wears a pair of suspenders. 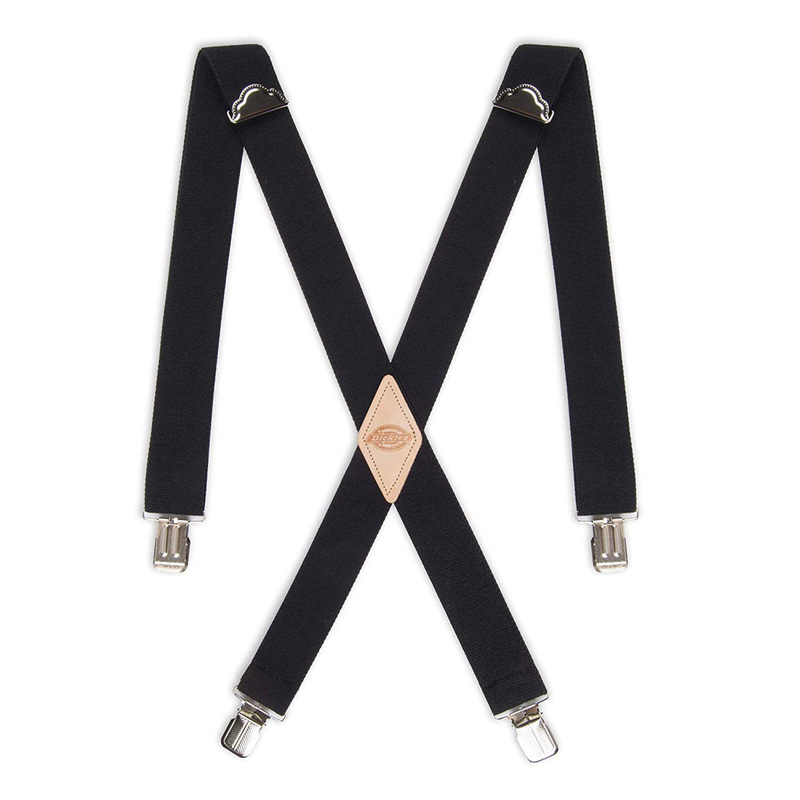 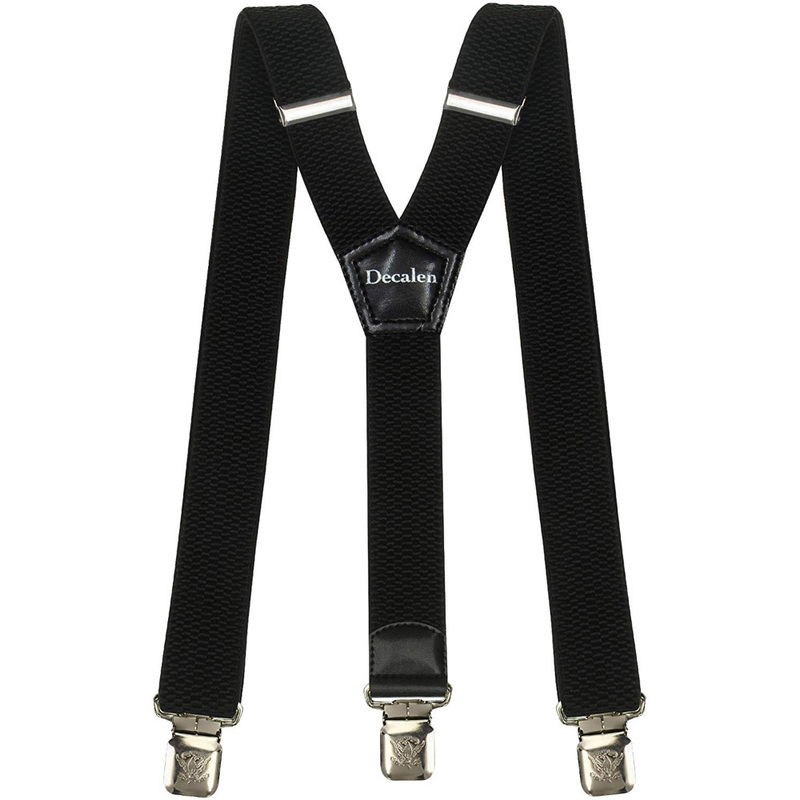 While not essential a pair of trouser suspenders that are black would be excellent. 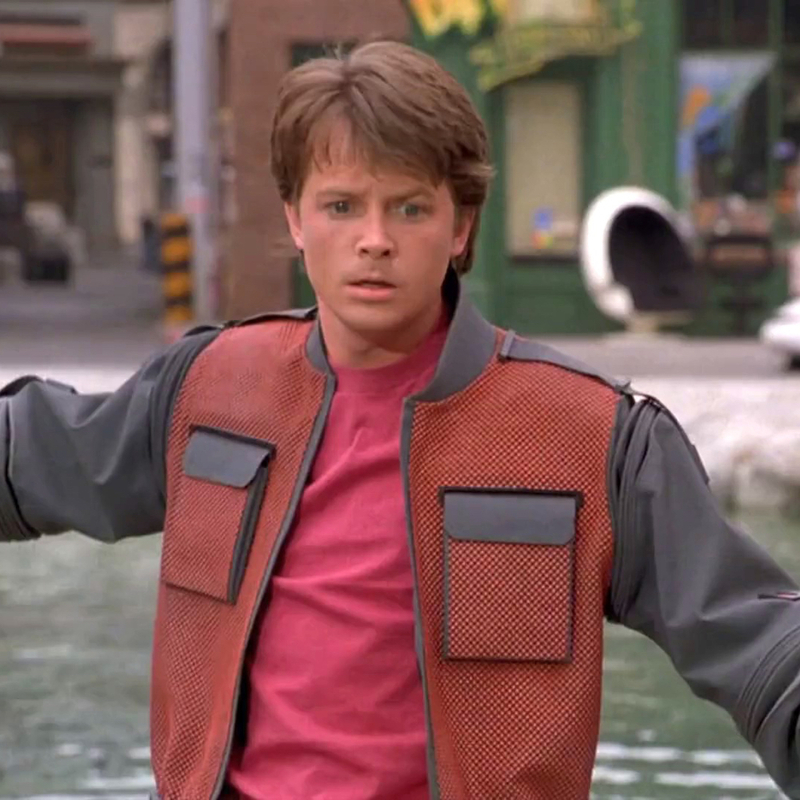 When making your own Marty McFly costume from Back to the Future 2 the most important clothing item is his futuristic self sizing jacket. 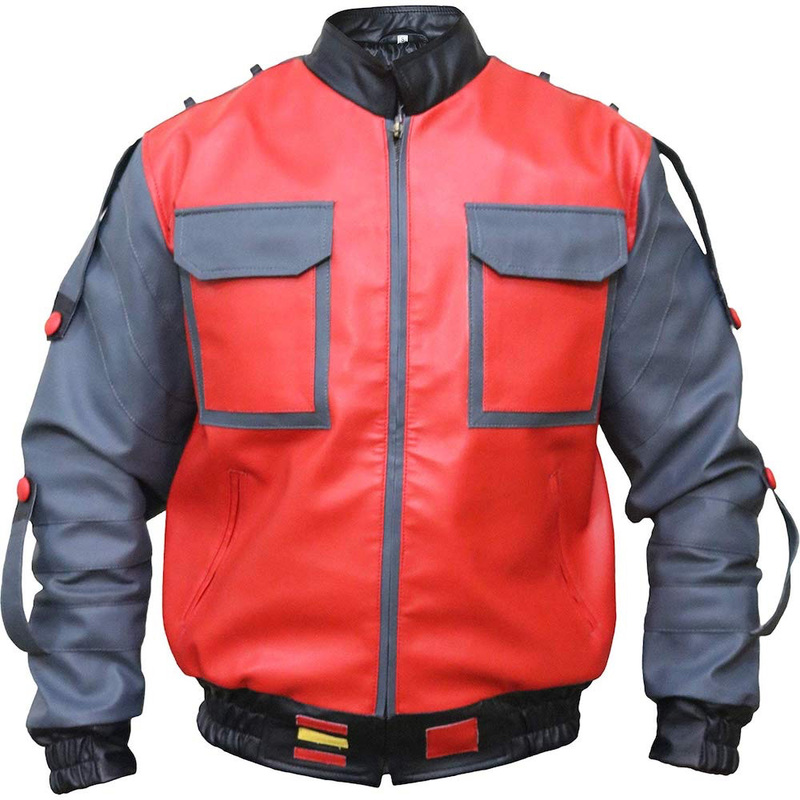 The good news is that there are many replicas of Marty McFly’s jacket available to buy. 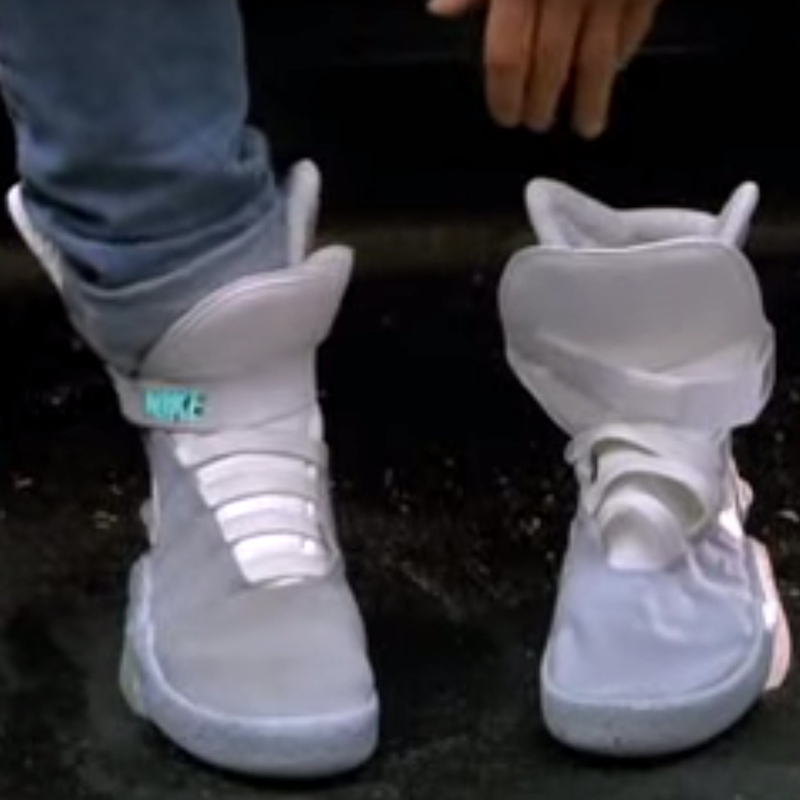 Yet another hugely important part of you Marty McFly costume from Back to the Future 2 is the awesome self lacing Nike Air Mags that he wears. 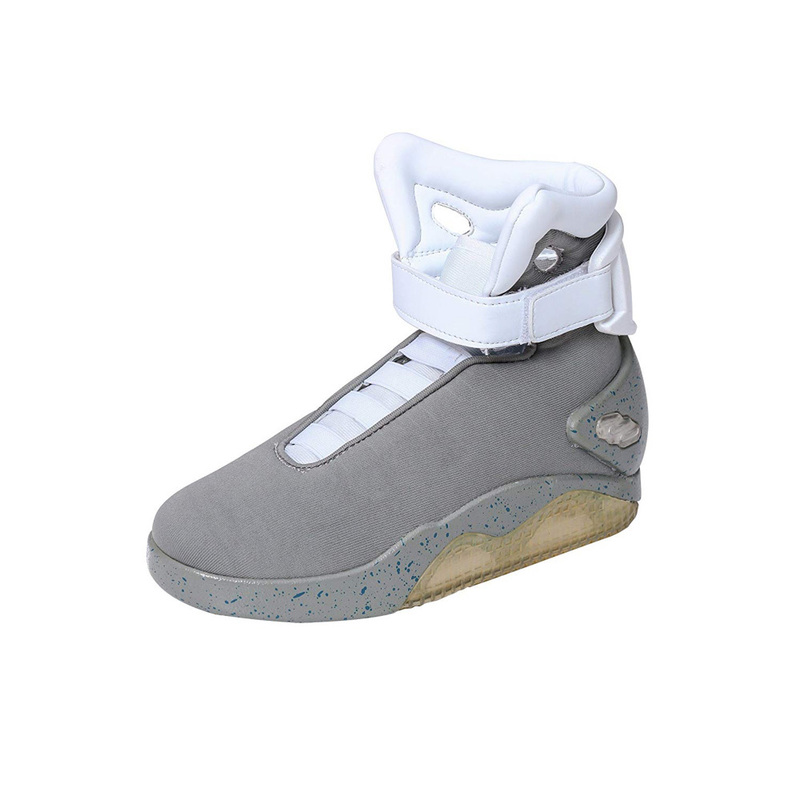 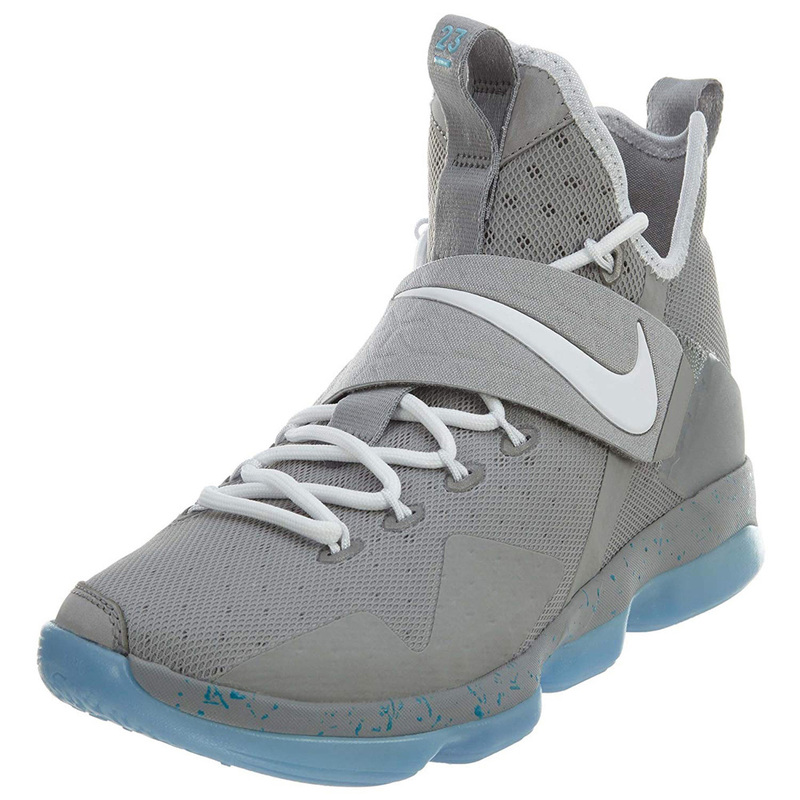 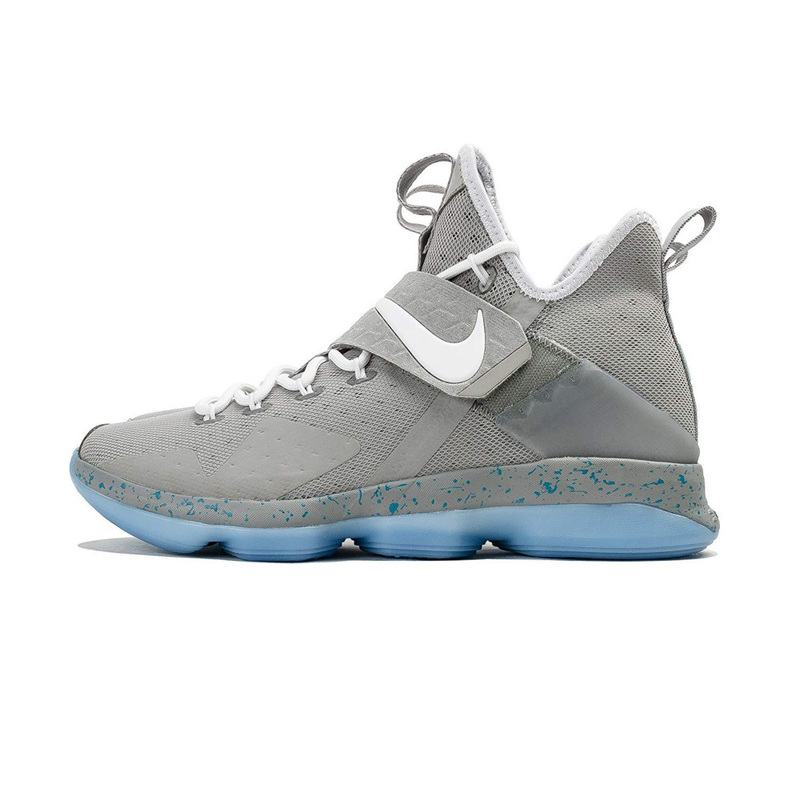 While the self lacing part of the shoe may not work you can still buy replicas of these Nike Air Mags quite cheaply. 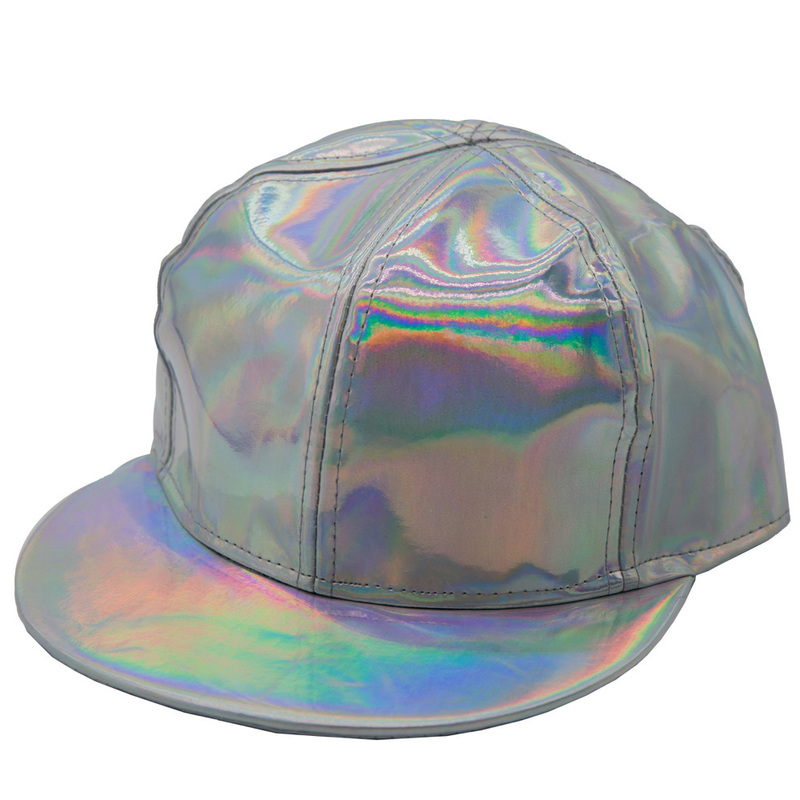 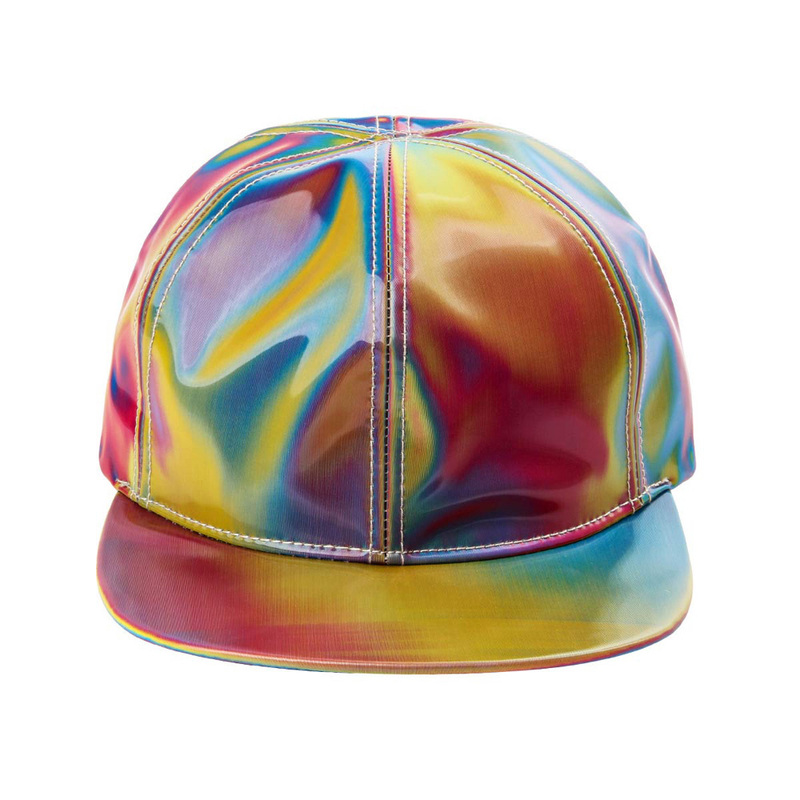 In Back to the Future 2 Marty McFly wears a hat that has, for want of a better description, a holographic effect. 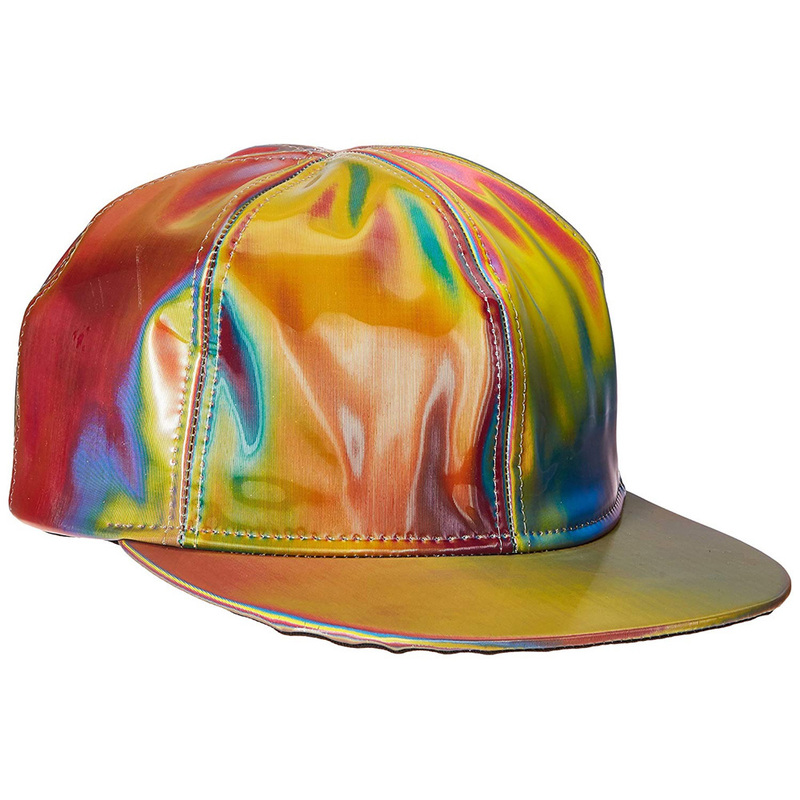 Marty McFly baseball caps can be bought from a number of sources online and they are not that expensive. 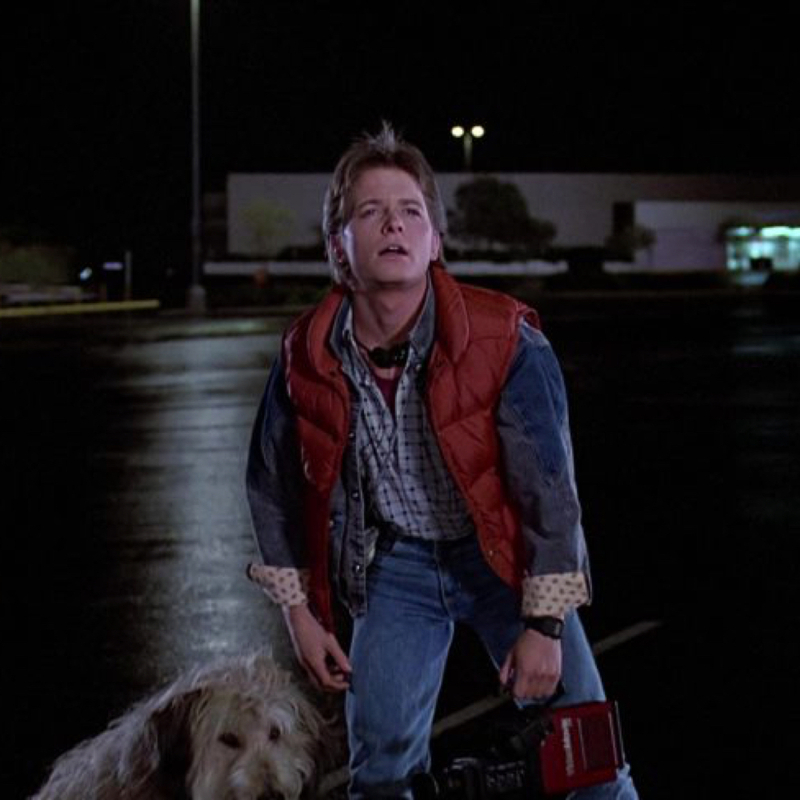 In Back to the Future 2 in the scenes where Marty McFly wears his future clothing he wears a red t-shirt under his self sizing future jacket. 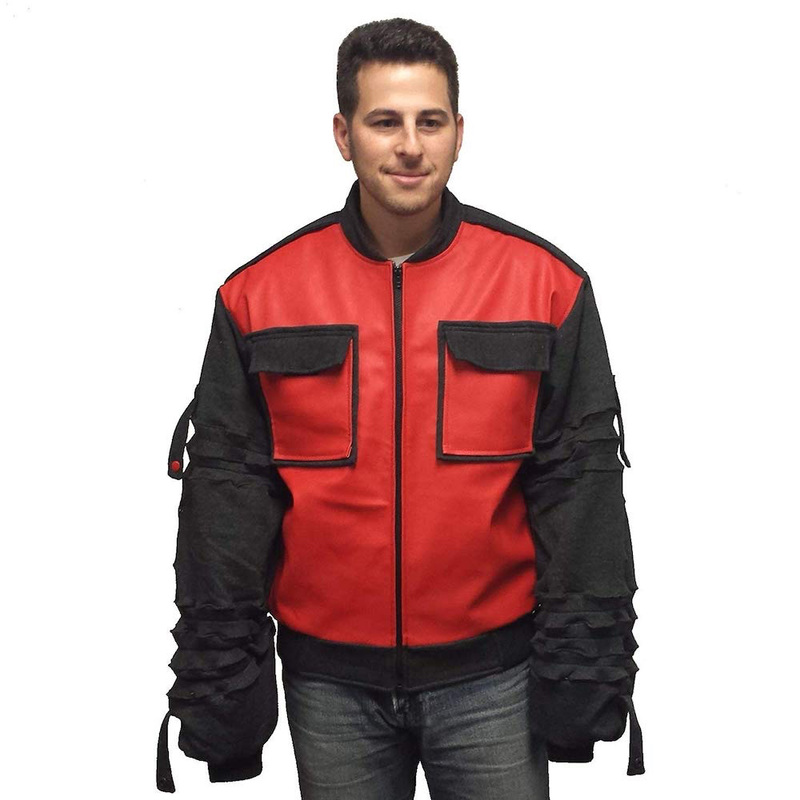 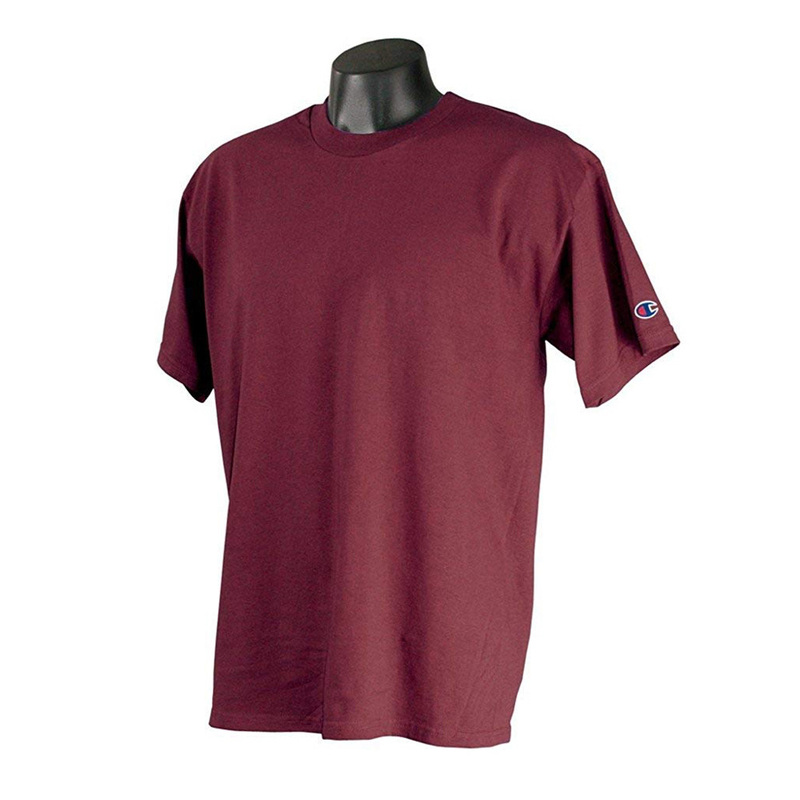 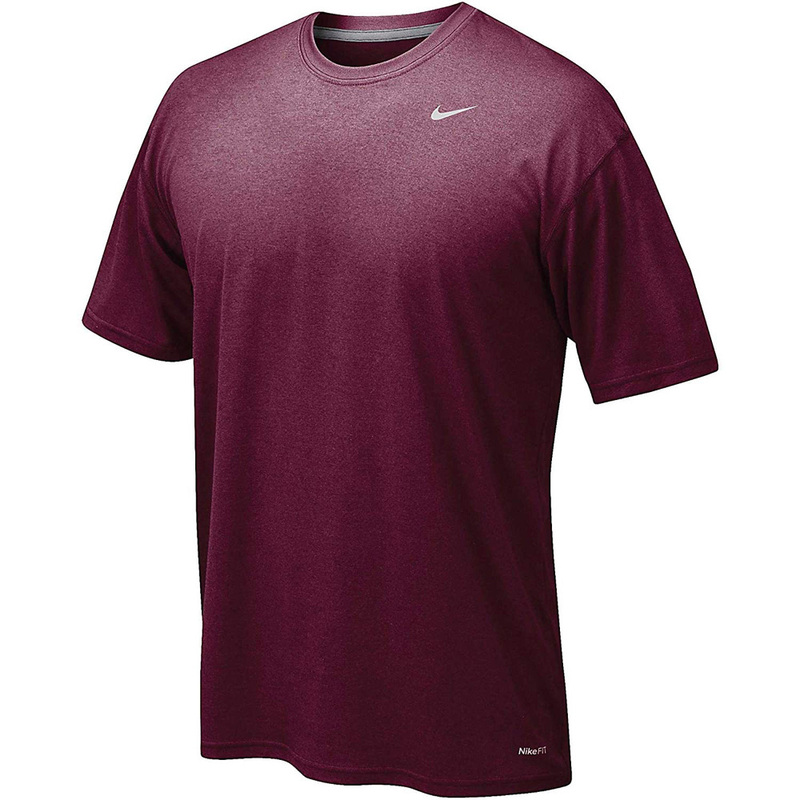 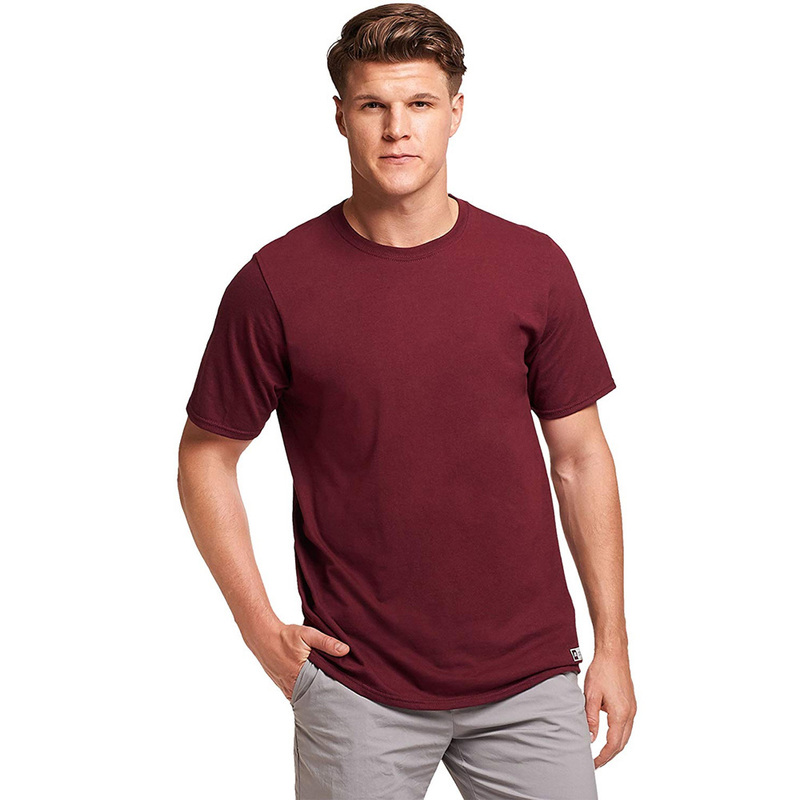 A simple red t-shirt is all you need for this part of your Marty McFly Back to the Future 2 costume.